Acid Lights sells for 65$, for nine colors. The pans are pretty tiny, though, and I seem to be running through mine fairly quickly. The shades all have a satiny finish-certainly not matte, but not unwearably shimmery or frosty. The colors apply MUCH more pastel than they look in pan, though there’s a good amount of pigment to them. 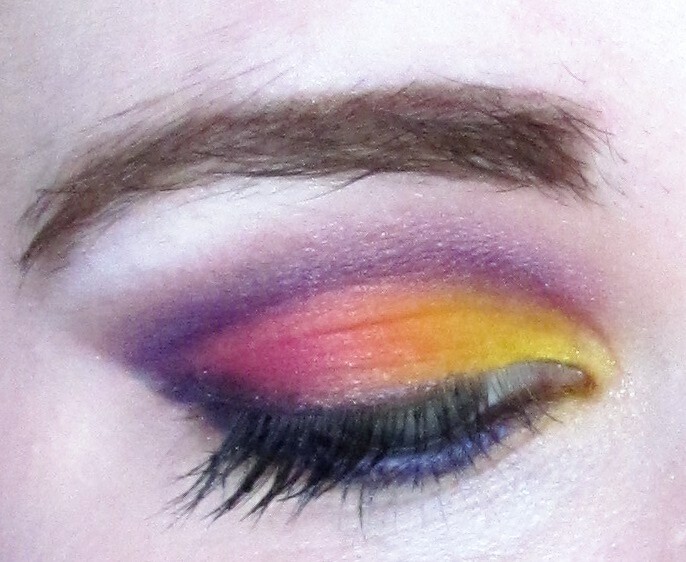 It’s certainly not the brightest eyeshadow I’ve touched, contrary to the product photos. I wasn’t terribly happy with the wear on these. I noticed them creasing, over my standard primer potion, on days when my Urban Decay or Sugarpill eyeshadows wouldn’t budge. It’s certainly not the best eyeshadow I’ve tried. They seemed to fade a bit too, and kick up a LOT of falloff/dust in the pan. 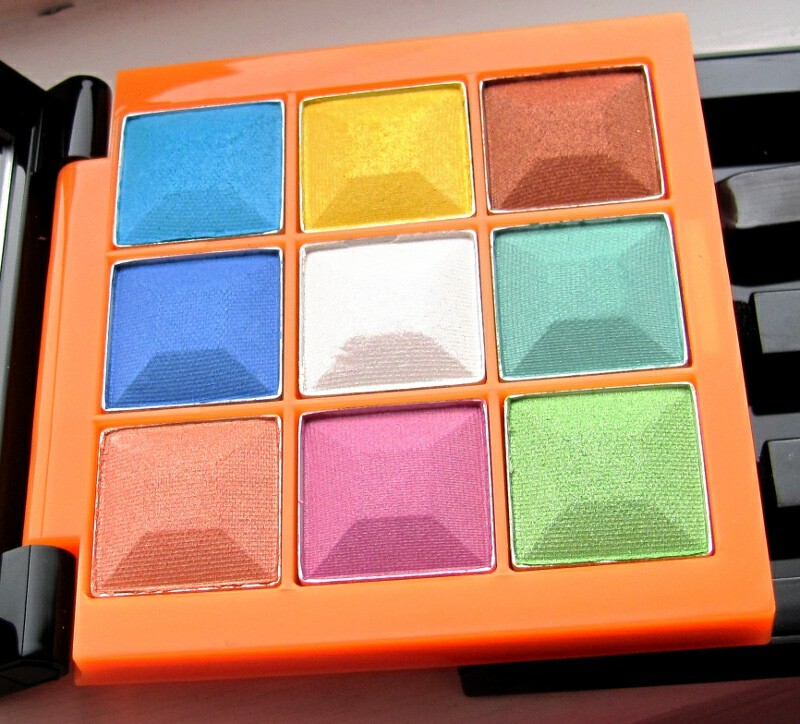 I doubt I’d repurchase this-the colors ARE nice, but you can get nice pastels from SO many indie brands for much cheaper, with better wear. I wanted to love this palette, and there’s many things I DO love about the color choices, the texture of the colors, and the finish. It’s just very little eyeshadow, for a lot of money. For the price I WOULD expect the products to apply closer to the way they look in-pan. Most of them apply more vibrantly when wet, but still not as bright as they appear in pan. And the colors still fade when applied wet. The packaging is cute—it’s a pretty sturdy plastic, with a magnetic closure. 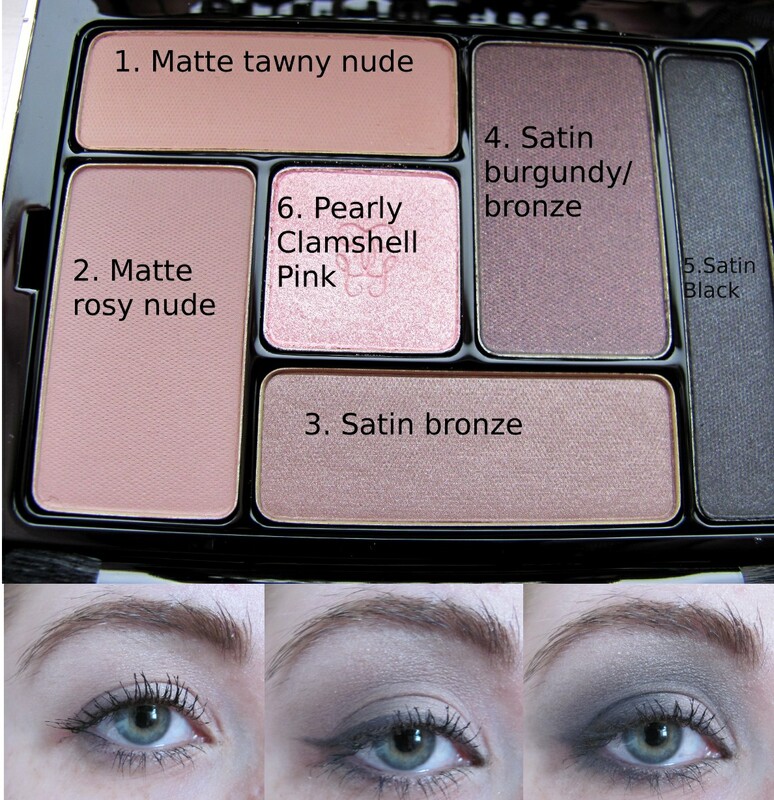 It’s easy to open the top part to expose the eyeshadow, but not so easy that it will fly open in your purse. The bottom drawer pulls out to review cute little applicators. Useless, but pretty. I always wish that eyeshadow palettes would skip the applicators, and just make the product design more streamlined. I dislike bulky packaging, and wasted space, and the included applicators are NEVER great quality, or particularly sanitary for re-use. Buxom Mascara is my HG mascara, so I jumped when I saw they’d released a bigger and better version, with a neat adjustable brush! How could I resist? The handle on the brush twists to lengthen or shrink the spaces between bristles, so you can tweak the shape depending on your lashes needs. This could be a godsend if you aren’t sure what type of mascara brush best suits your lashes, because the variety can give you an opportunity to experiment. The concept is great, and the original buxom brush is my favorite brush of all time. Sadly, the Amplified mascara doesn’t live up to its predecessor. The formula is very creamy, and clumps VERY easily. The bristles on the new and improved brush felt firmer than the old brush, and the shape isn’t as conducive to lengthening and separating my fairly-thick lashes. 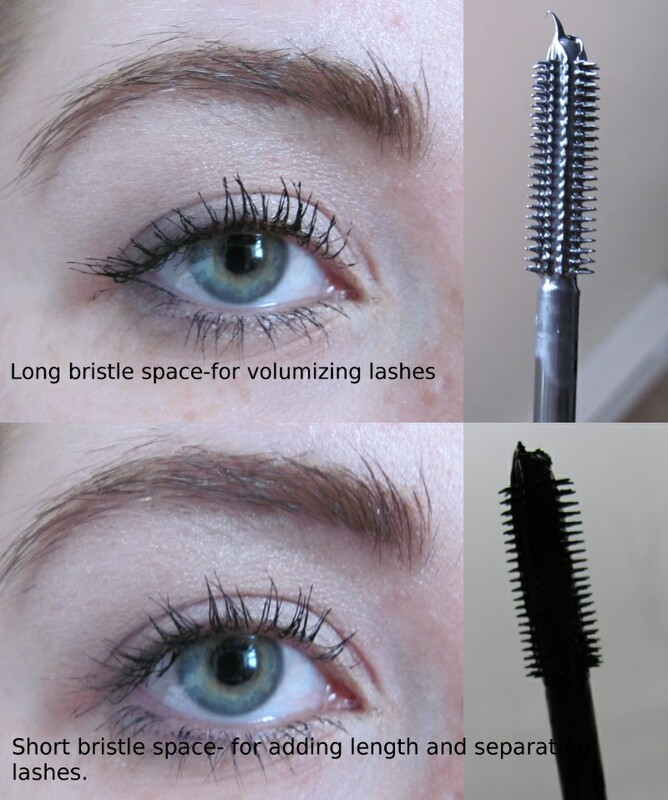 The shape also makes it difficult to use on lower lashes, without clumping. I didn’t notice any flaking, or smudging, once it had set. Be careful in the initial application, though, since it IS so moist and creamy, and can smudge very easily. It’s not a bad formula, it’s just a bit too clumpy for the brush shape. Amplified is 22$. That’s 4$ more than the standard Buxom. I still prefer the original Buxom for my lash type, but users with thinner natural lashes may have better luck. I love the idea, and I think it could be REALLY handy in use, but it’s just not quite there, yet. Sorry for the lack of posts this week. I’ve been shooting nearly every other day, and the in between days have been occupied preparing for shoots. I’m exhausted, and haven’t had time to put on my makeup. Yeah, my brows are a mess. 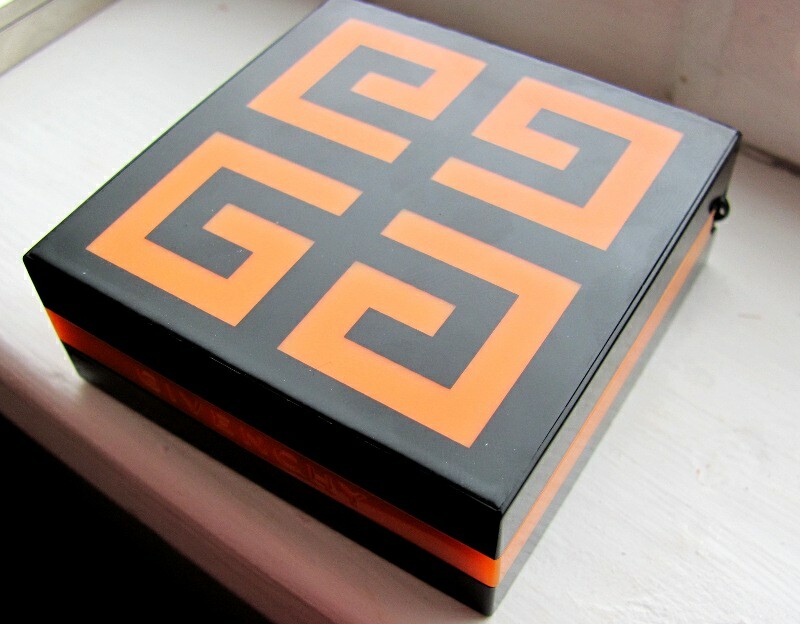 This is from my first batch of experimentation with the Givenchy Acid Lights palette. 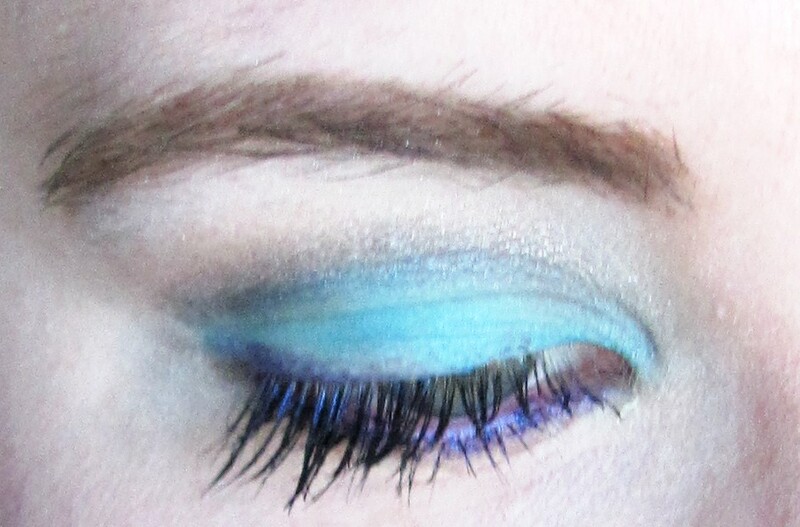 Inspired by Dior’s summer 2011 makeup. 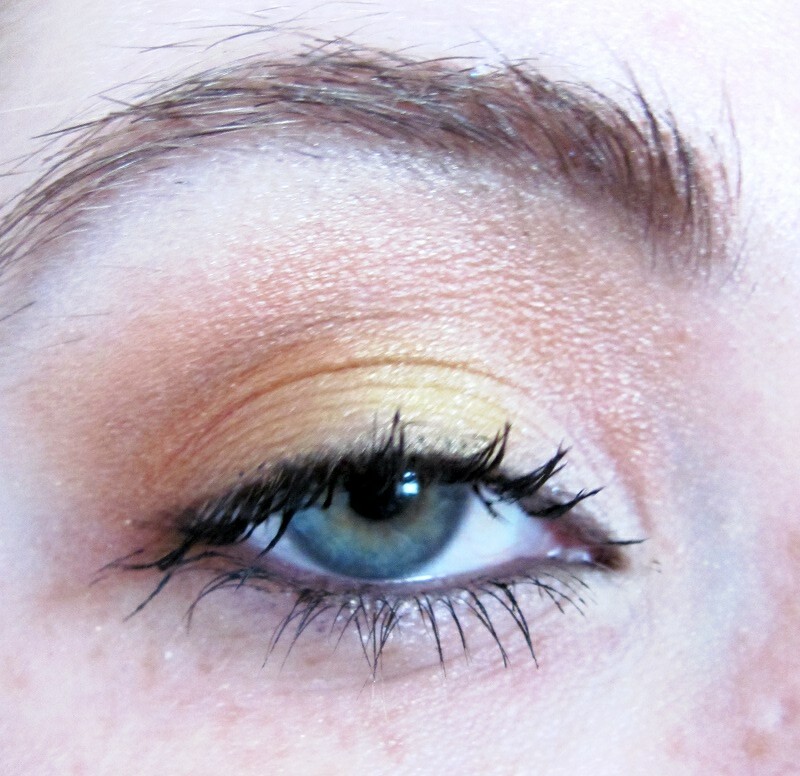 I LOVE the trend for a flat bright lid, with a cateye. I previously reviewed Jack Black Lip Balm and loved it, but had to review these two new flavors, Blackberry and Black Tea, and Grapefruit and Ginger. Both are DIVINE! I love them even more than the previous flavors I’ve purchased(Vanilla/mint and Chamomile/lemon). The duo is selling for $10, which is an improvement over $7.50 per color. Sephora has it listed online, and in store. I’ve purchased a few of these, to stock up! Both leave lips with a warm feeling, similar to lip plumpers. I don’t notice this in other Jack Black balms. THey have the same non-sticky gloss, as all other flavors, and wear just as long. If I put this on before bed, many mornings I still have remnants of it when I wake up, and my lips feel incredibly soft. It has a similar consistency to Vaseline, maybe just a teeny bit thicker, and it feels similar on the lips. But it doesn’t catch hair, crumbs, dust, as much as you would think. As far as conditioners go for VERY damaged lips, I prefer Caudalie, but this really tops all for overall protection, and smell. I LOVE it! The savory Tea and Ginger prevent the fruitiness from being too cloying, but don’t overwhelm. All of the aromas are fairly subtle, and easy to wear, without having it conflict with any other fragrant products you are wearing. There’s no cloying sweet taste, or really any taste. If you haven’t tried Jack Black lip balms, now is a GREAT time to try them. Two tubes will last you quite a while, and is only marginally more expensive than drugstore brands, which are CONSIDERABLY less moisturizing or long wearing. Eh, it matched my dress. 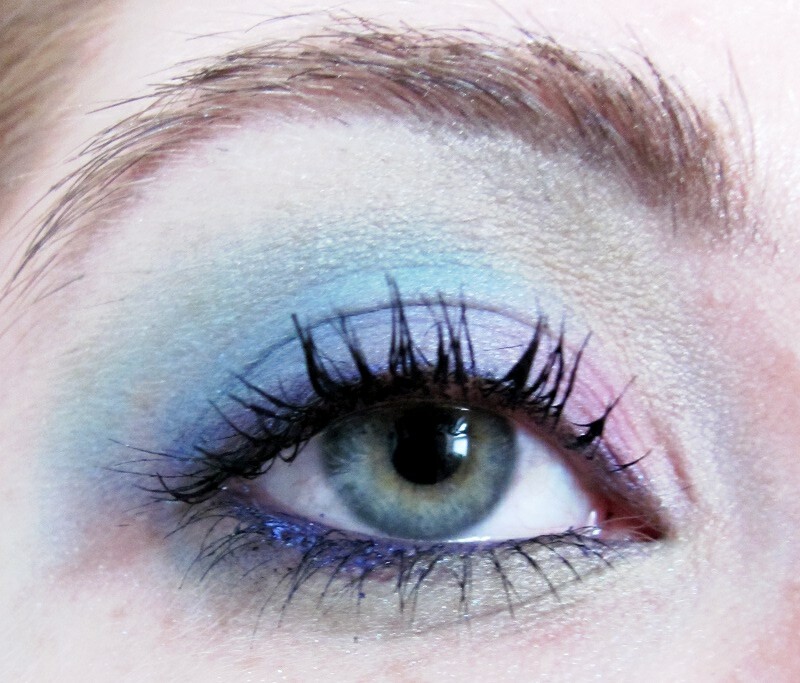 Photographed a tutorial for this, though it may take me a little bit to get it uploaded. I love the lips for this. The blue sparkle of Prroowl, combined with the gold sheen and pale pink of 916…. LUSCIOUS! If you look at message boards frequented by make up artists, and people who tailor their skin care purchases to be useful on a variety of skin types, Embryolisse gets RAVE reviews, especially the 24 hour miracle cream, and rich hydrating cream. Samples of their skin care items just went up for sale on Camera Ready Cosmetics, so I figured I may as well try some. My skin, for reference, is slightly oily, and VERY sensitive. My standard moisturizer is Clinique Dramatically Different. I tried the Miracle Cream because it looked gentle enough to be the most useful on my oily skin. The full size is $19.99, but samples are only $1.00 so it’s easy to buy a few different ones, to see which are the most effective. The samples last for a week or so of daily use, if you’re sparing, so there’s plenty of time to watch for adverse reactions, or see more cumulative benefits. It has a much thinner consistency than I’m used to finding in my moisturizers—almost like a very thick serum rather than a true moisturizer. It felt VERY light on the skin, and seemed to absorb very fast. It barely left the skin feeling tacky, and provided a great base for makeup applied over top. I made the boyfriend wear some(His skin is slightly oily, similar to mine, but less sensitive) and he had no issues with it. Hooray for super-sensitive skin. I found that when I used it regularly, I had more breakouts of the very deep cystic acne, and I had other little non-acne bumps across my cheekbones. I usually have that reaction when using a moisturizer that is a bit too rich for my skin. I doubt I’ll buy it for personal use, although I have added it to my kit. The tube is HUGE, and since you only need a little, I’d be surprised if someone finished it in 8 months, with daily use. It’s definitely on par, price and quantity-wise, with my Dramatically Different($15.99 for a giant container that I STILL haven’t managed to use more than half of). On the boyfriend, I noticed that his skin looked a bit more even, and less red. He had more of a natural “healthy” texture, rather than the slight-oily gloss that he usually gets. I was happy with how it worked for him, although I doubt he particularly cared, or noticed one way or the other. It seemed to absorb a bit more fully into his skin, as well. Mine ALWAYS felt slightly tacky, like it didn’t absorb completely. His skin drank it up, and five minutes later, I couldn’t feel even a hint of residue on him. He rarely moisturizes(Well, only when I feel he really needs it), so his skin, although a similar type, seems to accept products much better than me(I cleanse my face very regularly, use makeup remover and toner regularly, and moisturize pretty much daily). I think I might be OK using this on myself a few times a week. But definitely not daily. I’ll stick with my Dramatically Different, since it seems better suited to the rest of my skin care regiment. The 24 Hour Miracle Cream is NOT a bad product, at all, though!